Toast is pleased to present a guest blog from Donald Burns, The Restaurant Coach™, a sought-out advisor in the areas of menu design & engineering, restaurant operations, social media marketing, and more. The war for restaurant staff talent is upon us! In its simplest form, the three key components to restaurant excellence are: people, process and product. People are the first component, since everything we do in this industry is delivered and created by people. Even if Elon Musk is working on robots to replace humans, it’s human interaction that creates a successful dining experience. Hospitality is a human connection, no matter how you look at it! It’s very easy to blame outside circumstances for our lack of abundance when restaurant staffing. Statements like, “There are just no good people out there,” or, “These kids just don’t want to work,” are all excuses. Excuses are nothing more than B.S. or as psychologists would say, “belief systems." In food business coaching, we use the very effective word: bullsh*t.
The belief systems or BS you hold onto become a self-fulfilling prophecy. If you say there are “no good people out there,” then trust me, you will never find any. We all have cognitive biases that help us take in a barrage of information and make mental shortcuts to decisions. Those biases and your belief systems (many that were developed in your unconscious when you were young) do not truly serve you, and they hold you back from the results you want. So, in order to break free, you need to adjust your thinking and ask better questions. 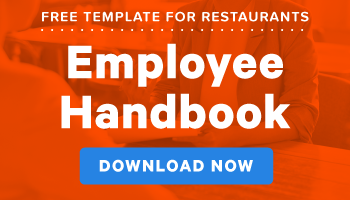 If you are not attracting and retaining the restaurant staff you want, then here is the question you will need to honestly answer: Are you creating a business culture that attracts and keeps top talent? If you want the best talent out there you will need to build a business environment that draws that type of employee in. Let’s look at 7 things to help create the culture that attracts and keeps people. You need to develop what I call is The Hire Attitude™. It’s your attitude about hiring that is stopping you from finding and keeping top employees. Time for a checkup from the neck up! 1. Create a culture of excellence. It does not matter if you are a four-star restaurant or a taco truck from the south side. World-class culture is a mindset that you control. It starts with how you see your business, and which core values you set. 2. Hire for desire and personality. A lot of restaurant owners make this mistake. It’s easy to train the skills needed to perform a job (if the person is trainable), however it’s near impossible to change personality and behavior. Ask the right questions in your interview to make sure your new restaurant hire is the right fit. 3. Make it hard to join the team. You need to make it clear that it is a challenge and a privilege to be on your restaurant staff. Interview in multiple stages, including a written test or even a “try out” (called a stage in some restaurants) to see how they work and also how they interact with the existing team members. You need to make sure that new team members complement and strengthen your current team dynamics. The number one mistake seen in average performing restaurants is lack of training. Just like you would not go to the gym once and declare yourself in shape, you should not just train people once when they're hired and expect them to be star performers within a month. What you try to save on a training budget you will spend triple in advertising. A well-designed training program will also attract millennials looking for work. That demographic thrives on the ability to learn new information and grow as individuals. Your chances of finding great employees reduces when you only actively recruit during a job opening. You need to adopt the attitude of ABR: Always Be Recruiting. At any given time, there is someone out there who could be a valuable addition to your team, and who is looking for a new home. You improve your opportunities to cross paths if you are always actively recruiting. Keep a business card on you at all times, ready to offer it to someone who might have the right stuff (personality) and could be an incredible asset to your business. You never know where your next superstar could be hiding. You need to make sure that you have opportunities for growth, learning, and personal development. High performers who will excel on your team need an opportunity for growth or else they will go somewhere else. You could offer books, industry magazines, audio CDs, and even executive coaching for select team members. Bottom line is: when you invest in your people’s growth, they will stay. 7. Appreciate, reward, and acknowledge. You would be shocked how far a personal thank-you goes for team morale. You would be equally shocked at how many owners and operators don’t take the time to appreciate and acknowledge the team members that interact daily with their customers. Adopt this new behavior: make it a point at the end of every shift to personally approach every person on the team, look them in the eye, shake their hand, and say thank you. The best part about that new behavior is that it cost you absolutely nothing.